If your kids love Minecraft as much as mine, I won't even have to explain what is so fun about this Minecraft party table that Susan created. I think my favorite treat is the Creeper corn. 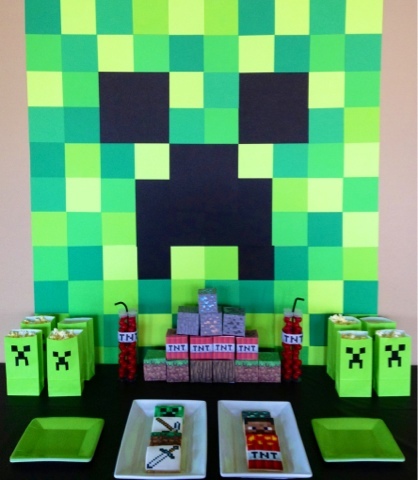 You can check out all of the details of this Minecraft birthday party spread over at Poca Cosa. Grant is crazy about Minecraft and loved seeing your MC posts!